In the context of molecular modelling or chemical informatics, Acca is a program which assists in conformation searching, by transferring information between related conformation searches. ADME stands for Absorption, Distribution, Metabolism and Excretion. These four aspects of a drug's action are all important. Application Program Interface: many computer programs (including operating system) are designed so that other programs can access some of their functionality. The specification of how to do this is the API. Basic Local Alignment Search Tool: a set of similarity search programs for DNA and protein sequences, originally published in the Journal of Molecular Biology (1990, 215(3):403-10 Altschul SF, Gish W, Miller W, Myers EW, Lipman DJ). Several web resources are available including the NCBI - NIH and Washington University. Chemical Abstracts Service. 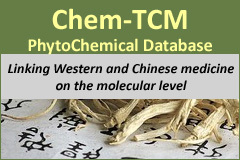 An organisation connected with the American Chemical Society which abstracts the world's chemical literature. 'Computer-assisted storage, retrieval and analysis of chemical information, from data to chemical knowledge.' Chem. Inf. Lett. 2003, 6, 14. This definition is distinct from 'Chemoinformatics' (and the synonymous cheminformatics and chemiinformatics) which focus on drug design. 'The mixing of those information resources [information technology and information management] to transform data into information and information into knowledge for the intended purpose of making better decisions faster in the arena of drug lead identification and optimization.' (Frank K Brown 'Chemoinformatics: what is it and how does it impact drug discovery.' Ann. Rep. Med. Chem. 1998, 33, 375-384.) This article also says that chemometrics is a subset of chemoinformatics. See also Chemical Informatics, which includes chemoinformatics and also encompasses areas of chemistry outside drug design. Comparative Molecular Field Analysis: a 3D-QSAR technique, which explores molecular fields around a molecule. (Cramer, R. D.; Patterson, D. E.; Bunce, J. D. J. Am. Chem. Soc. 1988, 110, 5959-5967. A program, developed by Robert Pearlman for generating 3D structures from 2D, distributed by Tripos. Disk Operating System. MicroSoft's operating system for PCs which has grown into Windows. Denial of Service: Computers can be attacked to prevent them providing access to their resources. More information is available from CERT. Document Type Definition. This is an explanation of all the label that may be used in a SGML. The Dublin Core is a set of core elements which can usefully be used to structure metadata. The name comes from a workshop in Dublin, Ohio. Eadfrith is a free program which produces high-quality pictures of molecules. The Globus project provides a toolkit, software tools that make it easier to build computational grids and grid-based applications. GNU General Public License. How can a program be licensed as free software? GPL is one answer. A program for finding binding sites on biologically important macromolecules, developed by Peter Goodford (J. Med. Chem. 1985, 28, 849-857). Computational Grids enable computation as well as data to be shared over a network of computers. A matrix of the second derivatives of energy with respect to molecular coordinates. The Hessian can be used to determine whether a stationary point is a minimum, a transition state with one negative normal mode or a higher order saddle point. A A client-side HTML embedded scripting language for World-Wide Web browsers, which is not closely related to Java. The Joint Committee on Atomic and Molecular Physical Data developed standard data formats. The work has now been taken over by IUPAC. 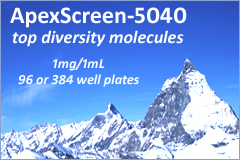 JCAMP formats are used for NMR, Mass Spectrometry and other spectral data. Linear combinations of atomic orbitals. A technique used to build up molecular orbitals. Lhasa is a program to help plan organic syntheses, originally developed by E J Corey at Harvard. Magnus is a group of programs for doing chemical calculations and handling chemical information. Most of the programs will run within a web browser. Monte Carlo. The name for any of a wide range of stochastic methods which involve random numbers, or even a mountain with a casino. The meaning may be clear from the context. Multipurpose Internet Mail Extension. A MIME-type describes the sort of information that a mail message, or other computer file, contains, and so a computer knows whether to expect an image, a molecule, or a spectrum, for example. A measure of the number of unpaired electrons in a molecule. Singlet multiplicity means that all the electron spins are paired, a doublet must have one unpaired spin. An open-source database management system, available under GPL (Gnu General Public License), developed by Monty Widenius. Organization for the Advancement of Structured Information Standards (OASIS), is a non-profit, international consortium that creates interoperable industry specifications based on public standards such as XML and SGML (See OMG). The Object Management Group (OMG) is an open membership, not-for-profit organisation that produces and maintains computer industry specifications. Its specifications include CORBA and UML. The world's leading supplier of software for information management, and the world's second largest independent software company. The Oracle database, which uses SQL, is being made increasingly internet aware. Peer-to-peer: a concept for networking computers, used by Gnutella and other applications. Platform for Privacy Preferences Project (P3P), not to be confused with P2P, is a simple, automated way for users to gain more control over the use of personal information, developed by the World Wide Web Consortium. Principal Component Analysis. A set of variables which may be correlated are transformed to a smaller set of uncorrelated variables. Principal Component Regression. A combination of principal component analysis (PCA) with a regression analysis. Perl is a interpreted language optimized for scanning text files, extracting information and printing reports. PHP: Hypertext Preprocessor. A server-side HTML embedded scripting language, closely connected to database access. PHP offers compatibility witha number of SQL database servers. Its syntax is borrowed from C, Java and Perl. PostgreSQL is an open-source object-relational database management system. RDFile (reaction-data file) is a file format from MDL. Standard Generalised Mark-up language. HTML is an SGML with a particular dtd. Semi-occupied molecular orbital - Used instead of HOMO or LUMO when the highest occupied orbital contains only one electron. Structured query language: a language for interacting with relational databases including Oracle, MySQL, PostgreSQL, and mSQL. There are several dialects of SQL, and a standardisation process. SQL can be used for a variety of tasks including: querying data, updating and deleting rows in a table, altering objects, controlling access to a database and ensuring database consistency. Slater Type Atomic Orbital: An early basis set for molecular orbital theory. These are close in shape to atomic orbitals, but much harder to manipulate mathematically than gaussian functions, so the latter are now used almost exclusively. Scalable Vector Graphics, a graphics format from Adobe. Extensible Markup Language: a unified format for structured documents and data on the web. A less general, and perhaps more useful, SGML.